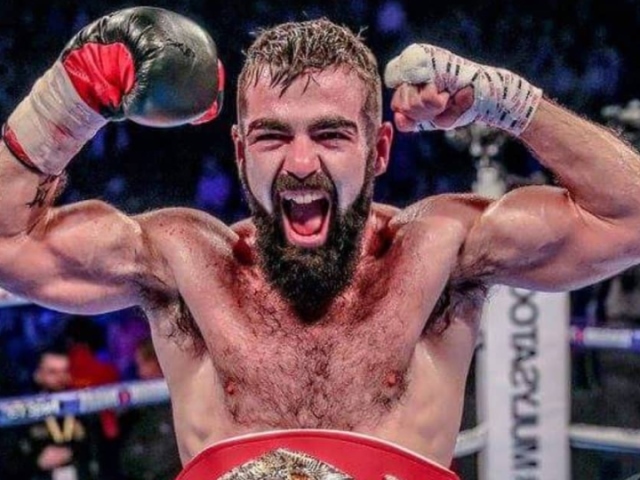 Jono Carroll scored a stoppage victory in his rematch against Declan Geraghty. The Dubliner dropped his man in the third round before taking over and stopping him in the ninth. Carroll, cut early, retained the IBF Inter-Continental super-featherweight title with the victory at the SSE Arena in Belfast. The rematch came as part of the supporting cast to Michael Conlan’s homecoming outing against former world title challenger Adeilson Dos Santos, exclusively live on BT Sport and BoxNation. And Carroll, after referee Bob Williams stopped the contest after two minutes and 12 seconds of the ninth round, said that he now wants a world title fight, potentially in front of a Belfast crowd he called “amazing”. He is ranked seventh with the IBF and will soon be hoping to boost that positioning and force his way towards the upper echelons of the division. Johnny Coyle put himself further up the pecking order for a major title challenge with a hard-fought victory. The 25-year-old Essex welterweight moved to 19-0-1 with two early finishes with a razor-thin decision win over Lewis Benson. The pair clashed over 10 rounds, as part of the supporting cast to Michael Conlan’s homecoming outing against former world title challenger Adeilson Dos Santos at the SSE Arena in Belfast. And Coyle won a rather dull affair by 96 points to 95, exclusively live on BT Sport and BoxNation, putting himself in pole position for a final eliminator for Bradley Skeete’s British welterweight title.